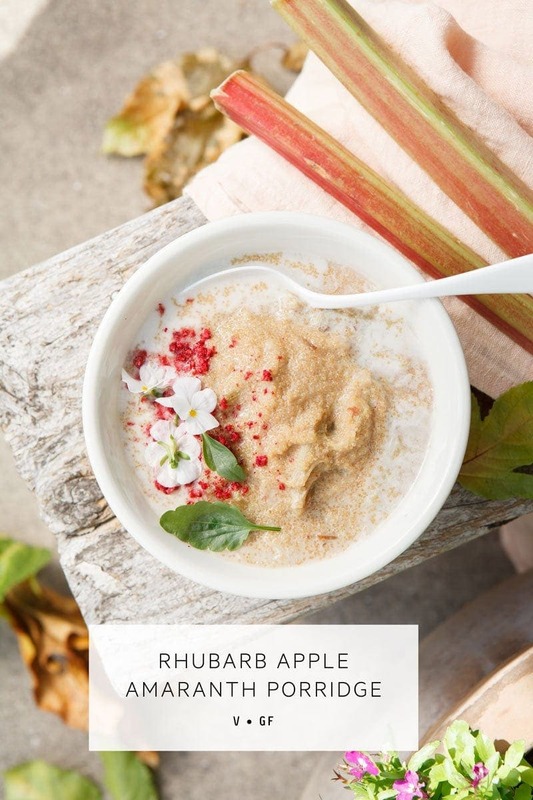 Mix up your morning routine with this seasonal, stewed Rhubarb, Apple and Amaranth Porridge cooked with ginger, vanilla and coconut. Naturally gluten free, high protein and delicious with a wee drizzle of pure maple syrup. 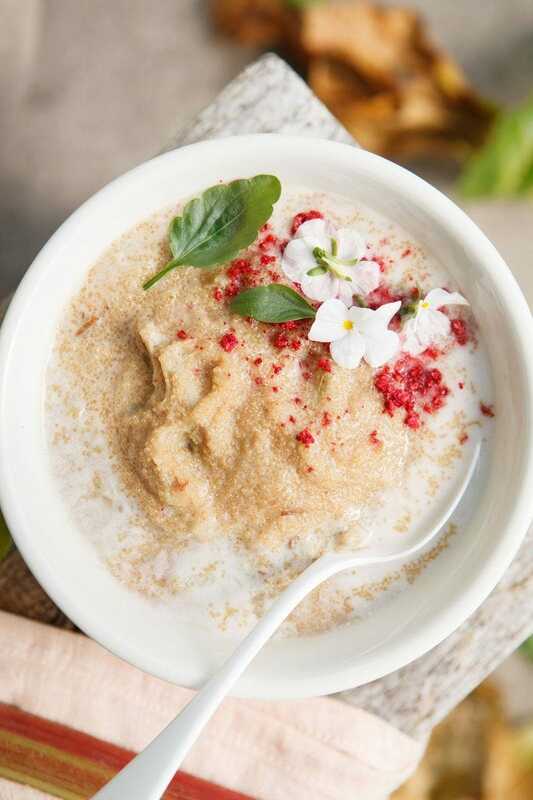 I’m sharing another nutritious breakfast option today, to add some variety to your morning. I find that I need to be really mindful of including a wide range of foods in my diet, otherwise it gets a bit same-same every day. Mixing things up enables you to get a good balance of nutrients. But it also helps prevent the development of food sensitivities, which can occur due to an overexposure of a particular food. 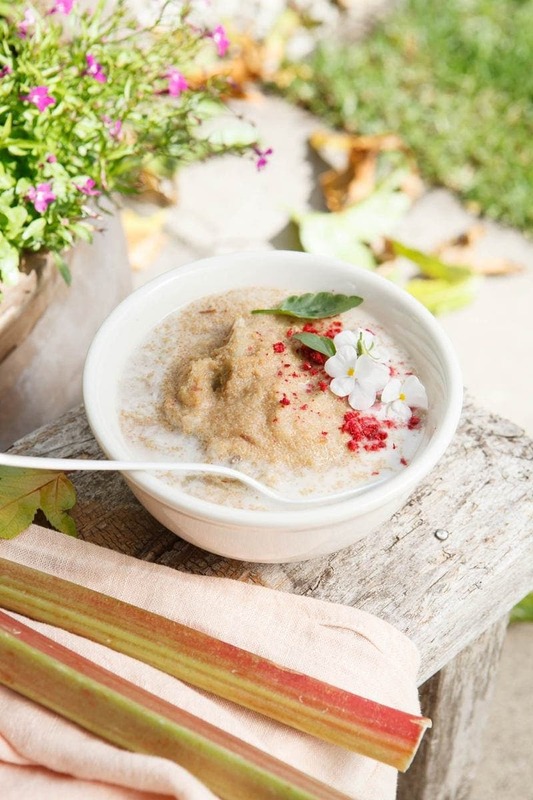 Cue our lovely Rhubarb, Apple and Amaranth Porridge. Amaranth is a funny thing, despite it being so teeny tiny, once cooked, it is perhaps the most dense of all grains. 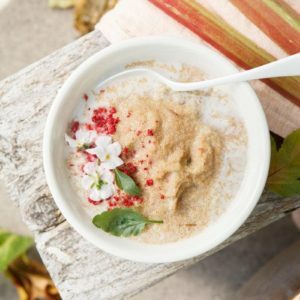 When making a savoury dish, I often combine it with other whole grains, however, as a porridge, the addition of stewed fruit and coconut milk seems to work. It’s incredibly satisfying, and packed full of nutrients. (Sorry lads! I know there are more women readers here – but your RDI’s can be found here). Remember that these amounts don’t accurately reflect the amount bioavailable to us – as cooking will reduce some of the heat sensitive vitamins (such as our B’s), and phytocompounds (chemical compounds produced by plants) found on the outer of the seed may inhibit mineral absorption (such as phytic acid, but also phenols which despite this exert some great anti-inflammatory and anti-microbial properties). I prefer to use amaranth as a whole grain, as the milled flour can have a slightly grassy note to it. The leaves are also great in a salad or smoothie. Mum has them in the garden from time to time. From an energetic perspective, amaranth is slightly bitter yet sweet, light and dry. 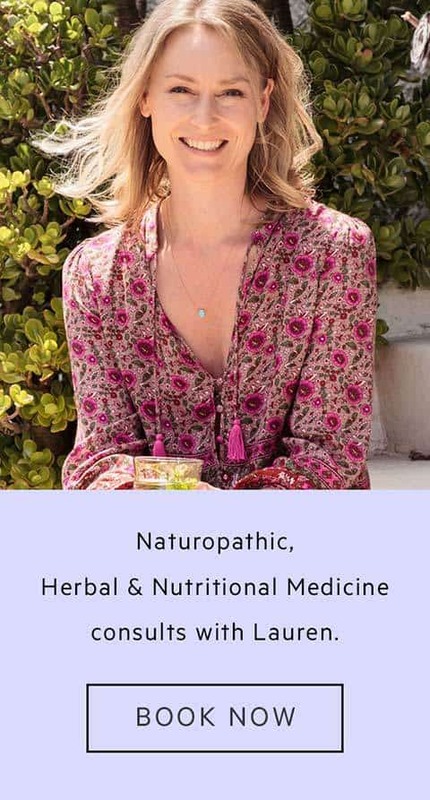 The dryness is valuable in damp conditions or for damp constitutions (in Ayurveda, this would be a Kapha dosha, or someone who perhaps tends towards producing a lot of secretions such as phlegm, someone who perspires easily, feels clammy, retains fluid, is prone to swollen glands, and tends to have pale, cool, moist skin). I hope you get to give this a whirl – there is so much extra goodness to be had just by adding in some more variety! 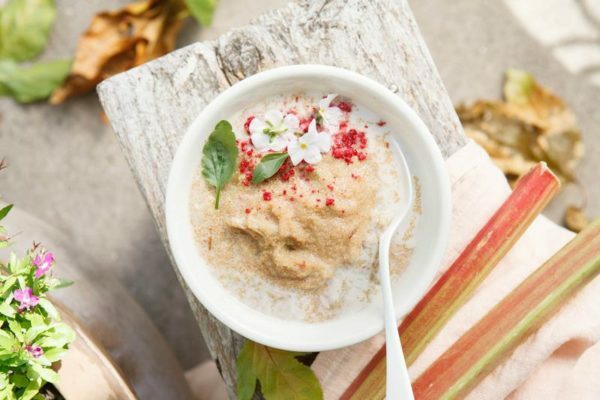 PS: Find a warming Coconut Quinoa Porridge recipe here. A naturally gluten free, stewed Rhubarb Apple Amaranth Porridge cooked in spices and coconut. 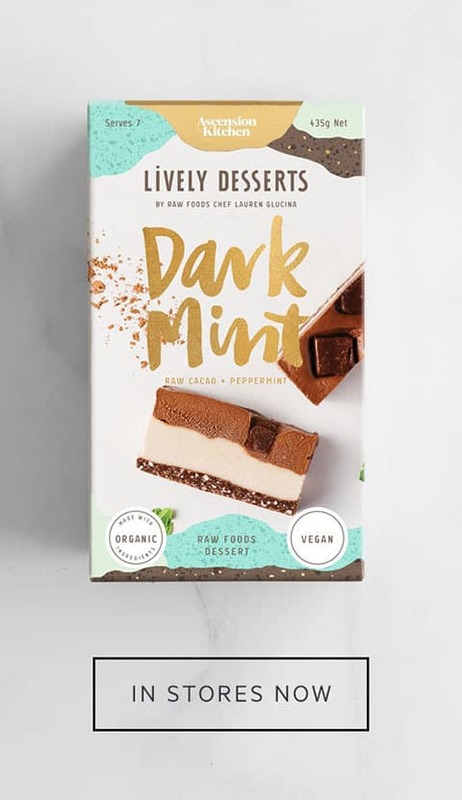 Great source of plant protein and delicious with a drizzle of maple. Wash and roughly chop the rhubarb, peel and cut the apple into slices. Add to a pot with the vanilla, ginger and water, cover, boil, reduce to a simmer and cook for five minutes. Rinse the amaranth under running water then add to the pot with coconut milk, cook for another 10-15 minutes until done. Serve with a dollop of coconut yoghurt and a drizzle of pure maple syrup. Tang, Y., & Tsao, R. (2017). Phytochemicals in quinoa and amaranth grains and their antioxidant, anti-inflammatory, and potential health beneficial effects: a review. Mol Nutr Food Res.